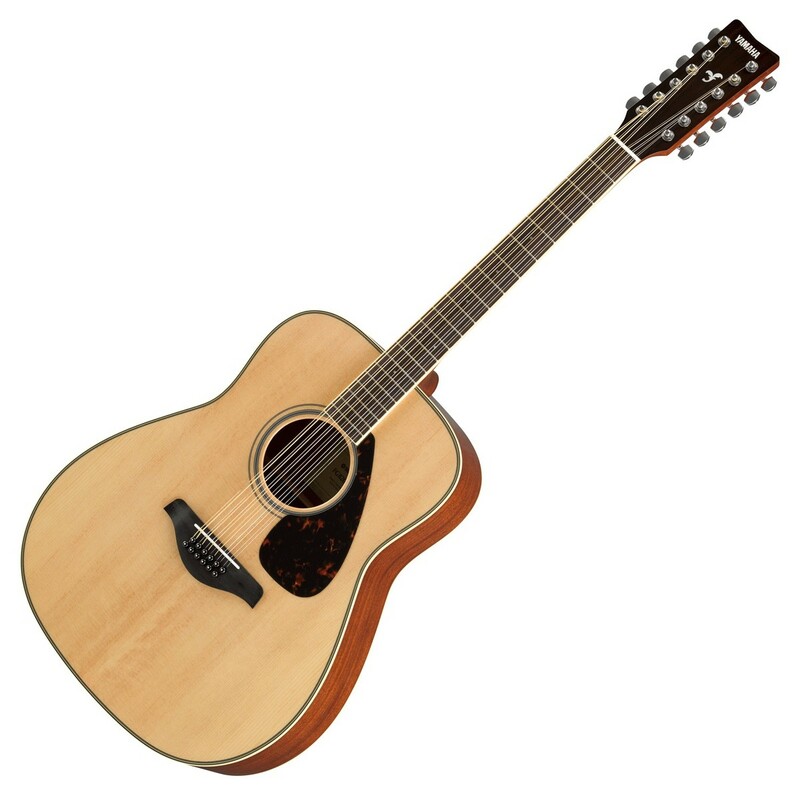 The best budget 12-string acoustic guitar for most people is the Yamaha FG820. 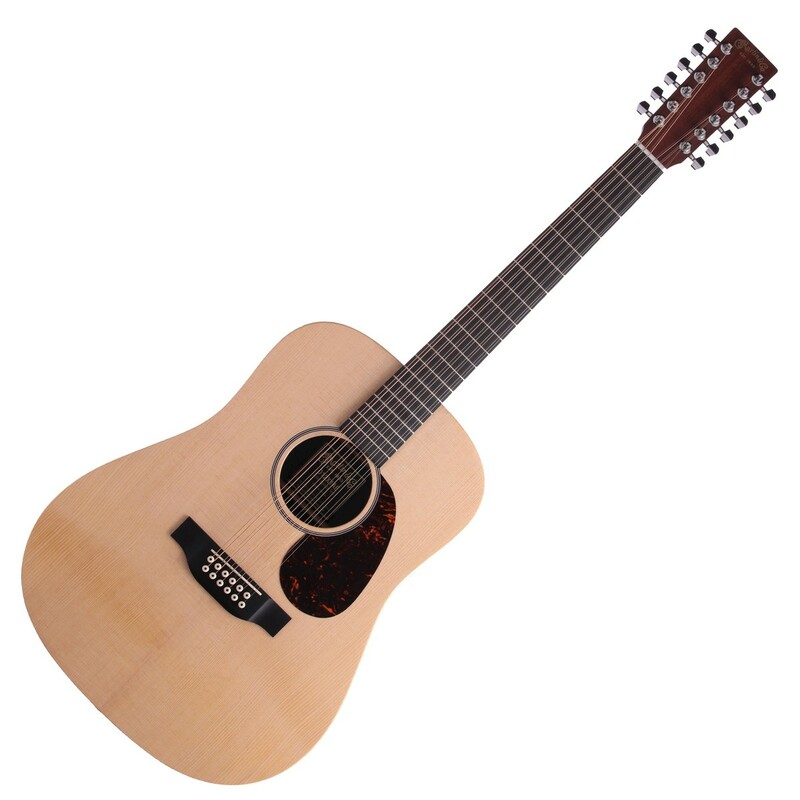 It has a solid spruce top and a build quality which looks and feels like a higher end guitar. It sounds like a 12-string should: bright and shimmery with a faint chorus effect due to the scalloped bracing. User reviews show the neck stays straight (as long as you use light strings), and works well in almost any situation you need it. If you want a great sounding 12 string, but are on a budget, the Yamaha FG820 12-string guitar is the one to get. User reviews show the neck stays straight (as long as you use light strings), and works well in almost any situation you need it. If you want a great sounding 12 string, but are on a budget, the Yamaha FG820 12-string guitar is the one to get. Why Should I Use a 12-String Guitar? What Makes A Great Budget 12-String Acoustic Guitar? Your prime focus should be the neck, bridge, and saddle. Right around the $500 price range you can usually find models with solid wood tops. Many of the 12-strings in the budget category are pretty bad. A simple search of reviews by users on Amazon or Guitar Center for some of the cheapest ones all complain about how difficult it is to keep in tune. This is one of the most common complaints about 12-strings. Part of the reason is the string tension. Twelve strings pulling on the neck will make the neck bow if it’s not stout enough. Use lighter guage strings, to reduce the amount of tension on the neck. However, there are a few 12-string guitars in the budget range that actually pretty great bridge, saddle, and neck setups. We chose $500 as the top price for a budget 12 string. It seems to be the sweet spot for a great instrument. You generally get a solid top, a well-built neck that won’t warp with the extra string tension, and have that consistently great shimmering, chorusy sound you want from an acoustic 12 string guitar. Looking through the available models of 12-strings on Guitar Center and Sam Ash Music, we found several in our price range. From there, we perused the guitar forums like Acoustic Guitar Forum, Gearslutz, Harmony-Central, and so on. I have had the displeasure of ordering guitars online, and I must say, I won’t do it again. You might get lucky, I have a few times, but generally the warehouses just grab the closest box, double check that nothing is broken, then ship it to you. The problem with this is they don’t generally check if the fretboard is bowed, or any of the general action settings. They don’t plug it in (if it’s electric, or acoustic-electric) and make sure everything is working. I’ve had several problems on this front. However, I’ve also received some pretty great guitars by mail. Basically, it’s a big chance. If you’re willing to return it if it’s defective, or at least take it to a local guitar shop to have all the necessary adjustments made. The GuitarCenter.com website will let you order a guitar online, and then pick it up at your local store. This means you can try it out right in the store. Their guitar tech will take a look. If it needs some additional setup or tweaking, you can have it taken care of right there. The best 12-string acoustic for most people is the Yamaha FG-820. It’s right around $300, with a bright shimmery sound. The bridge and saddle are setup correctly, straight from the factory, and every one I’ve played has not had any of the neck bowing that is so prevalent on other 12 string acoustics in this price range. 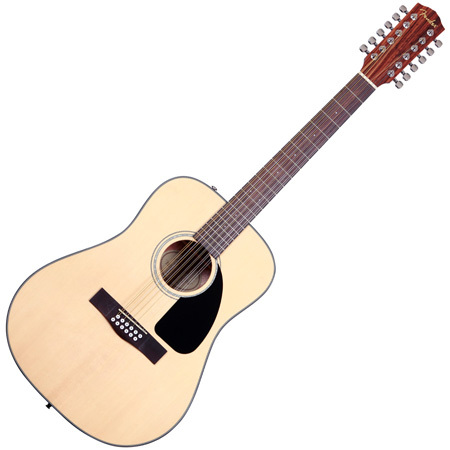 The Fender CD100 12-String Acoustic-Electric is our super budget pick. You won’t be getting a lot of solid wood in this pick, in fact, it is a laminated spruce top, with laminated mahogany back and sides. However, the scalloped X-Bracing (the supports inside the guitar) help round out the sound quite nicely. The strings on these are notoriously bad. Almost every reviewer mentions, once they put new strings on it, the guitar sounds wonderful. So maybe get some new strings when you purchase the guitar. See below for our 12-string guitar string guide. Wonderful instrument! Very playable with an almost professional level of tone. To do better you’d have to go up the 2K Gibson models. The reason fretboards on many 12-string guitars tend to bow (called a “relief bow”) is because people use heavier gauge strings. With twice as many strings, you get A LOT more tension, which causes the bowing. Guitar string companies like D’Addario offer string gauge guides. If you’re unsure how to use a guide like that, here’s a quick primer. It might seem a little overwhelming, but it’s worth it, ESPECIALLY with 12-strings, if you want to preserve the neck and not suffer from relief bowing and expensive guitar repairs. Depending on your skill level and needs, any of these guitars will provide you years of playing, performing, recording, and general fun. We like this guitar because it sounds bright and shimmery, just the way a 12-string should. It's made of some modern composite materials, which may turn off purists. This guitar gets you much more sound for your money, and has some really great electronics for playing out live. The CD100 has some seriously great sound for a super budget pick. The stock strings sound terrible though. Once you get some better strings on it (see our string guide at the bottom of this guide) it is more than adequate for the price.